Costs – Find local cost information on tree removal, tree maintenance and stump removal for Trenton, New Jersey. FAQs – Are you aware of the most common treer disease in Trenton? Do you which fruit trees thrive the best in the city? Learn those facts and more. Services – Need a Trenton arborist out to your house today? Don’t peruse the phone book to find one close to you. How Much Do Tree Services Cost in Trenton? Tree services and maintenance are crucial aspects of owning land. Understanding the different costs associated with tree and stump removal, as well as tree maintenance, can better prepare you when looking to hire a professional. The following is a look at the average costs of these services in Trenton, New Jersey. 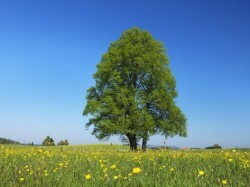 There are two relevant aspects that can factor into the cost of removing a tree. The primary of these is how large the tree is. The larger the tree, the more felled wood it will produce, in turn costing you more money. Secondly, if you have a tree that has grown around or near a power line, it will cost more to have it removed. The average cost for tree removal in Trenton is $719 to $941, though it can cost anywhere from $385 to $1,330. To ascertain the price of grinding and removing a tree stump, it’s important to know its size. If it’s a medium-sized stump, it will cost anywhere from $79 to $148 while a larger stump can cost between $85 and $148. These costs are factored around stump labor and equipment. Tree and shrub maintenance is important for all home and landowners, the price of which can revolve around a number of factors. Fertilization, watering, pruning and disease control can all affect the price of tree maintenance. An arborist is a certified professional that takes care of this service. In Trenton, the average that you will have to pay ranges from $527 to $675, though it is possible to pay upwards of $960. Within the state of New Jersey, the city of Trenton is home to a wealth of beautiful trees. For land and homeowners, it’s important to understand all of the important facts about trees in Trenton as this will allow you to maintain and plant trees with relative ease. There are not many regulations that surround removing trees from your property in Trenton, although you must obtain a permit from the city in order to do so. These regulations come with a serious fine if you remove a tree without having the proper paperwork beforehand. If you’re looking to remove a tree from your property, the best time to do so would either be in March or April as the early spring months are conducive to easy removal. While this can be done at any time during the year, you should try to avoid doing so during winter months as the cold weather can make the tree harder to cut. You can grow a tree near overhead power lines within the city of Trenton, but before planting, you must ascertain the height it will reach in order to leave a foot of space between the top of the tree and nearby power lines. The most difficult trees to maintain within Trenton are likely the linden trees and the zelkova, the leaves of which are higher than most. 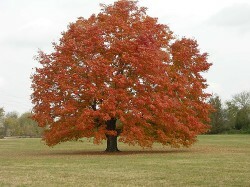 The state tree for New Jersey is commonly known as the northern red oak. The scientific name for this tree is Quercus rubra. The state capital city of Trenton is home to a vast number of these trees, the red hues of the leaves being one of the signature identities of the city. There are a wide variety of trees that can be found all over Trenton. If you’re looking for species of trees to plant, the following are merely a few of the most common trees. While there are too many to name, some of the most popular include the red maple (Acer rubrum), sugar maple (Acer saccharum), northern white pine (Pinus strobus) and scarlet oak (Quercus coccinea). 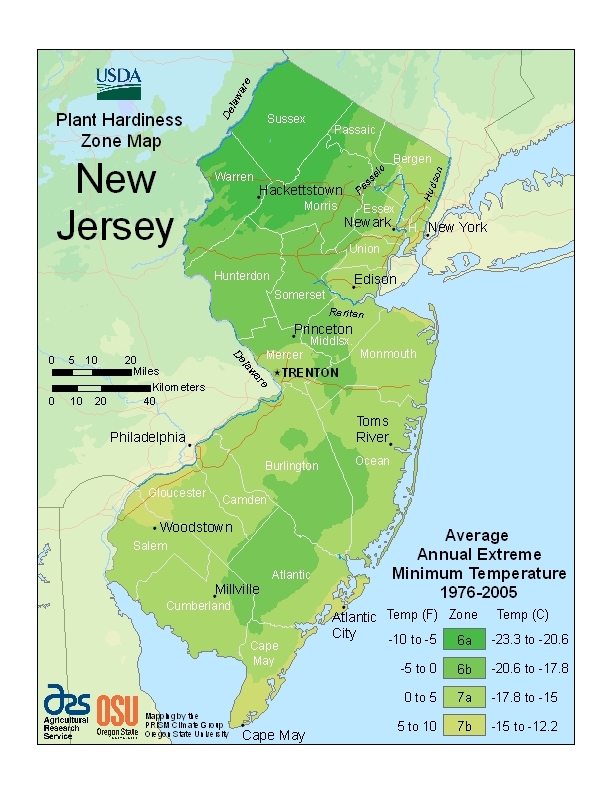 The climate of New Jersey varies quite a bit with optimum conditions for a large variety of trees. There are a few trees that grow very well in the New Jersey climate, including the linden, red oak and London plane. The shortest tree in the Trenton area is probably the red maple at around 15 meters while the northern white pine is the tallest, measuring 50 to 55 meters on average. New Jersey allows for fruit trees to be planted by residential and landowners, and there is a multitude of species that are perfect for the New Jersey climate. Two of the most popular fruit trees are apple and peach trees, though plums and European pears are also quite common. Tree diseases are an awful plight that make tree maintenance all the more important. It’s essential that you watch for certain signs that could point toward any number of your trees contracting a disease. There are a few hazardous diseases to look out for. One of the most noteworthy of these is bacterial leaf scorch. This disease can affect many of the trees mentioned previously, including the New Jersey state tree. This disease basically refers to the corrosion of leaves caused by a long-term drought. You will be able to identify this disease due to a dull red or yellow band that is present between the healthy and scorched portions of the leaf. It is possible that trees affected by this disease will wither to the point that they will have to be removed. You can partially avoid this by regularly maintaining your trees with tons of water.